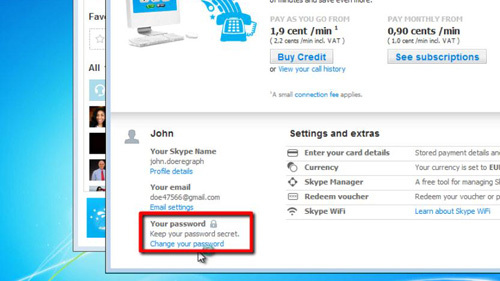 In this tutorial you are going to learn how to reset Skype password. Open Skype and sign in to your account. Open the “Skype” menu, go to “Profile” then click “Edit Your Profile…”. This will show your Skype details in the right hand section of the Skype window. About halfway down this page on the left hand side of the right hand section of the window is a title that says “Manage account”. There is a gray circle with a white arrow inside it. Click on this icon, it’s a link to securely display your account details. 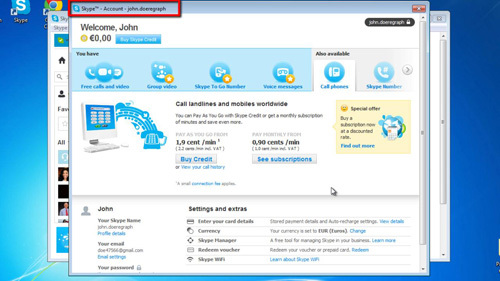 A new window will open with your details titled “Skype – Account – [your skypename]”. At the very bottom left of this window is an icon of a padlock and underneath this is a link that says “Change your password”. Click on this link to open a secure session to the Skype website with your system’s default web browser. Click on the “Change Password” link next to the “Skype Account” option. Enter your current password and your new password twice, in the appropriate fields, and click on the green “save” button to reset your password. 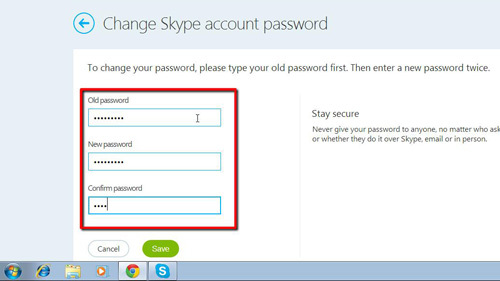 This is how to reset Skype password.